The Rangers finished up a relatively poor week of play, with three poor performances and one win. Throughout most of November, the Blueshirts were riding hot goaltending and a bit of a shooting percentage correction. They won more games than expected, which was fun while it lasted. But then the Rangers laid an egg against Philly, coughed up a lead to Washington, and then got shutout by Ottawa (beating those same Senators earlier in the week). As usual, I have some thoughts. 1. The stretch in November was a result of limiting quality chances against and getting quality chances for. The Rangers attacked the middle and defended their own. With Henrik Lundqvist in net, that’s a recipe for success. Over the past week, though, the Rangers abandoned that strategy. Maybe abandoned is the wrong word. Let’s go with they forgot to attack and defend the middle. Thus, they were utterly demolished. 2. The Rangers of the past week is the Rangers team we expected to see at the start of the season. You can blame injuries. You can blame all the points mentioned above. You can blame dressing 11 forwards and 7 defensemen. Or you can be the realist and recognize that the Rangers are a flawed team. They are. 3. One thing that is great to see is players, for the most part, sitting when they aren’t playing well. Brady Skjei was playing poorly and was scratched. All defensemen except Marc Staal have been scratches. Lines have been changed. On the surface, there is accountability. It could, of course, be rose colored glasses, but I’m not going to lose sleep over a rotation of healthy scratches. Yes, that includes the kids being scratched. 4. The injuries have allowed the Rangers to call up a whole slew of kids. There are seven (!!) players under the age of 25. Four of them can’t even legally drink yet. Of those four that need help buying beer, three are first round picks and destined for top-nine roles. If there is any positive to take out of the past week, it’s that the Ranger have true talent waiting in the wings. That talent has shown significant promise to develop into legitimate NHL scorers. 5. Yes, the blue line is a concern. On the bright side, Tony DeAngelo has taken a giant step forward. Neal Pionk is scoring, but is still an enigma. Brady Skjei will eventually return to normal. 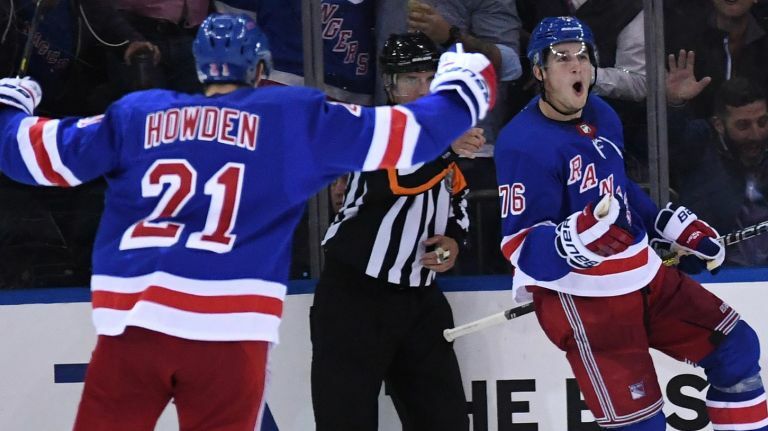 Pionk and DeAngelo may not be key cogs in the future machine that is the New York Rangers, but they are, at the very least, performing. 6. Before folks start railing on the team for their 1-3 week, let’s remember what we expected this season. We expected the entire season to play out like this last week of November. We did not expect a 9-1-1 run through the first three weeks of that same month. Expectations matter sometimes. And it’s been a blast watching the Rangers exceed those expectations. They aren’t the team that went 9-1-1, but they aren’t the team that forgot how to defend the middle recently either. They are below average, but not terrible. 7. Henrik Lundqvist is still an elite goaltender. I will close every single one of these “thoughts” posts with this line until he is no longer an elite goaltender. This year is not that year. "Thoughts on the past week", 5 out of 5 based on 13 ratings.